"Sing to Him, a new song!" That is a dramatically charged quote from Nate Parker in The Birth of a Nation, a great film about one of the darkest moments of American history. The film is based on the true story of Nat Turner, a slave who led a rebellion in 1831, only to last 48 hours, leading to his death. Parker plays Nat Turner, a slave who lived on a plantation in Southampton County, Virginia. His financially-strapped master, Samuel Turner (played by Armie Hammer), orders Nat, who learned to read at a young age, to preach to his fellow slaves as a means of trying to stop them from rebelling. During this time, Nat marries a fellow slave named Cherry (played by Aja Naomi King). While Nat is preaching, Cherry is viciously beaten & raped by a group of slavecatchers led by the vicious Raymond Cobb (played by Jackie Earle Haley). Sickened by this, Nat then believes God has told him to rebel. He then starts a rebellion against the masters, killing anyone who is against him. This eventually leads to an epic battle against Cobb & other masters, with several casualties, eventually leading to Nat's execution by hanging. The cast, especially Parker, Hammer, King & Haley, is great. The direction from Parker is great as well, along with the screenplay by Parker & Jean McGianni Celestin. The editing from Steven Rosenblum is brilliant. The cinematography from Elliot Davis is astounding. And the film score from Henry Jackman is amazing. 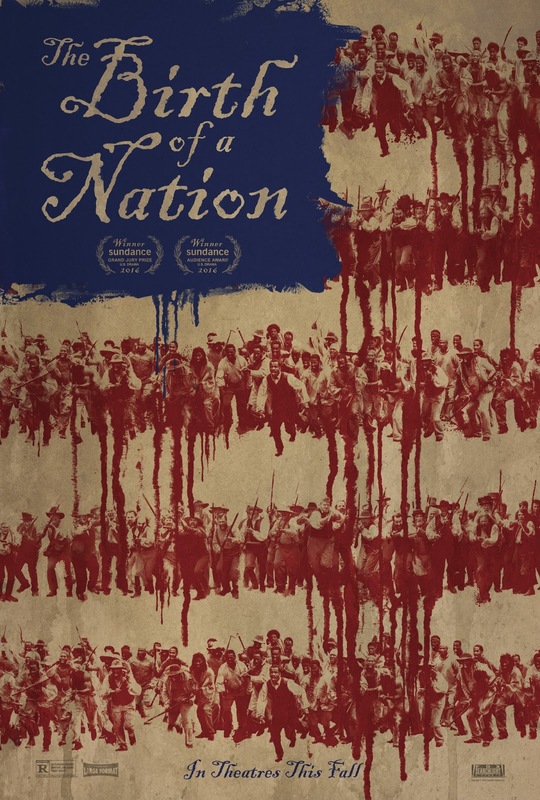 While the film doesn't reach the cinematic heights of other films about slavery, such as 2012's Django Unchained, or 2013's 12 Years a Slave, it is still a great film that takes an unflinching look at our country's disturbing history.